Waterloo — Months of hard work and research are being transformed into tangible action for the OutLook Study team, led by Robb Travers, an associate professor in Wilfrid Laurier University’s Department of Health Sciences, in partnership with community and governmental partners and other Laurier researchers. Findings from a large survey study of the health and wellness of Waterloo Region’s LGBTQ (lesbian, gay, bisexual, trans, queer) community are set to be discussed with some of the area’s key decision-makers on Oct. 11, 2018. The “Shifting our OutLook” symposium will bring together 60 policy-makers and community leaders to discuss the findings from the OutLook Study — one of the most comprehensive studies of health and well-being ever conducted in Canada to focus on the needs of a local LGBTQ community. The aim of the study was to pinpoint some of the barriers Waterloo-area LGBTQ people experience, the social supports that are already available and those that are lacking. With the data gathered and analyzed, the project team is looking forward to collaborating with the Waterloo Region Rainbow Coalition and other community leaders and service agencies to bring about real change to policy and programming. “This symposium is the reason why we do research projects like this. We want to bring decision-makers together to run with the findings and to create transformation,” said Travers. The OutLook Study surveyed more than 500 members of the LGBTQ community in Waterloo, asking them about their experiences with community safety, discrimination, social support, access to health care and more. 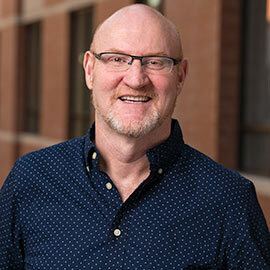 Researchers and students from Laurier, the Waterloo Region Rainbow Coalition, Region of Waterloo Public Health & Emergency Services, the AIDS Committee of Cambridge, Kitchener, Waterloo and Area (ACCKWA) and other groups conducted the study. “We wanted to design a really rigorous study that would gain the attention of policy-makers,” said Travers. Among the findings was a noticeable gap in training of local physicians to help them understand the health needs of trans people. Trans high school and university students also reported higher rates of active harassment than LGB community members, with many saying that more needed to be done to increase public awareness about their issues. Travers is confident the symposium will be the beginning of change. “The will is there in the community — that’s what is so exciting about doing this right now. We know there are community leaders who are really keen on seeing change take place,” he said. The “Shifting the OutLook” symposium will start with a public lecture by Greta Bauer, from the University of Western Ontario, on Oct. 10 at 6:30 p.m. at Laurier’s Lyle S. Hallman Faculty of Social Work in downtown Kitchener. Bauer’s talk will focus on designing LGBTQ research for maximum impact, and registration is open to community members. The symposium’s second day, on Oct. 11, is by email registration only and is open to community service providers and policy-makers. The symposium is supported through a Canadian Institutes of Health Research (CIHR) grant. Other Laurier faculty members who worked on the OutLook Study include Todd Coleman, Simon Coulombe, Ciann Wilson and Michael Woodford.